Home / Other Political News, Politics / Prophet OWUOR is a CONMAN masquerading as man of God – Only fools and dimwits should attend his church!! Prophet OWUOR is a CONMAN masquerading as man of God – Only fools and dimwits should attend his church!! 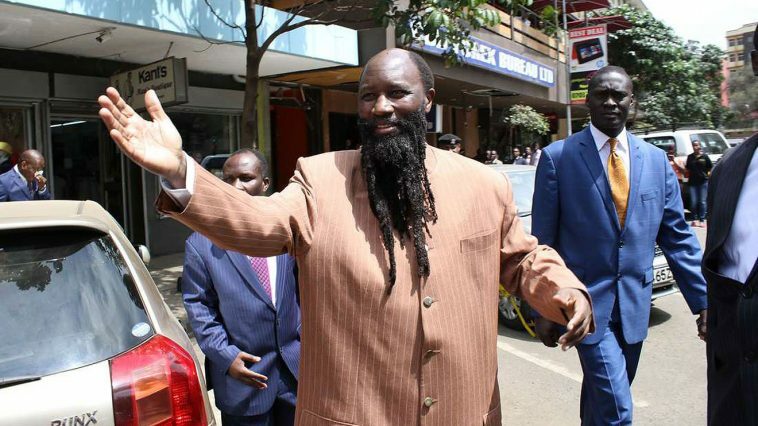 Tuesday March 12, 2019 - Fake prophet, David Owuor, has threatened to sue The Star over an expose linking him to a multi-billion property scandal with one of his followers. Through his lawyer, Okongo Omogeni, Owuor on Monday wrote a letter to the local daily demanding that the paper apologises in seven days or face court action. Omogeni said the stories carried by the local daily damaged the reputation and good standing of the prophet and the church in society. “In the consequence, our client’s name has been seriously damaged in character, credit and reputation and its status as a church of God has further been brought into serious public scandal, ridicule, odium and contempt,” part of the letter reads. Omogeni said he was instructed by the board of trustees of Owuor's Repentance and Holiness Ministry and the National Council and College of Bishops of the church to demand the apology. “This candid letter is to caution your publication to cease and desist from defaming and or making false publications concerning our clients,” he said. Last week, the paper accused the fake prophet of brainwashing Jayne Muthoni and taking control of her vast property in Nairobi and elsewhere. The stories were based on documents and interviews with family members who stormed the Dove Court apartments, off Raphta Road, Westlands, one of Muthoni's assets. The DCI is investigating the issue. Don't be stupid,can't you stop rebuking man of God?? The mighty prophet of God is leading us to repentance though I don't go to that church,but he is preaching powerfully to all Christians,you belong to devil if you are rejecting his message of repentance.